Because time is money, learn something valuable about fleet management solutions in just a few minutes. Knowing the locations of company vehicles, drivers’ actual time on jobs, and being able to determine whether drivers are performing side jobs, can lead to greater company success. When your drivers are reckless in company vehicles the consequences go far beyond just monetary, they can be fatal. See how a Telematics system can help. Wondering how to introduce GPS tracking to your employees? We answer the top 5 questions we hear on how to do this successfully. GPS tracking software helps you get back lost time throughout the day when you’re running a business with a mobile workforce. Discover how GPS Insight provides visibility over your vehicles and assets and meets compliance with Government mandates. Learn how GPS Insight trailer tracking about some of the most common challenges business like yours face with trailer management and how can solve them. GPS Insight provides solutions to help businesses with a mobile workforce and assets reduce cost, risks, and increase revenue. If you’re looking for more than a dots on a map GPS tracking solution, the Pro & Enterprise solutions from GPS Insight are the answer. The GPS Insight Hours of Service solution combines the power of fleet management with e-logs, DVIR, and more! If you are a small business looking for a fleet tracking solution, GPS Insight is the simple and powerful solution for you. 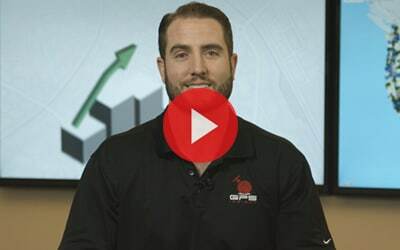 The experts discuss important industry news, trends, and product updates. Martin Novak, Installation Engineer, discusses the realities of installing GPS tracking devices. Gary Fitzgerald, Chief Executive Officer, explains how we keep our customers’ information secure. Ryan Driscoll, VP of Marketing, speaks on the main challenges we help customers solve. John Gaither, ELD Product Specialist, discusses the heavy fines involved for fleets that operate outside of the ELD mandate. John Gaither, ELD Product Specialist, provides his top four recommendations to help your business successfully implement ELDs. Jason Walker, Chief Revenue Officer, goes into key considerations for fleets to think about when implementing telematics. 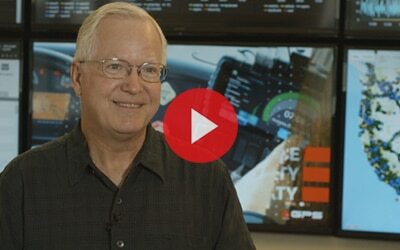 Rob Donat, Founder and Chairman of the Board, talks about why larger fleets turn to GPS tracking software. Explore GPS Insight software in these feature overviews. Learn more about GPS Insight as a company and our award-winning products.